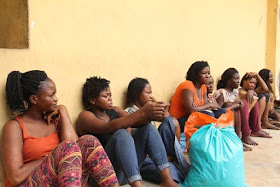 Home / featured post / Photos; "Why We Arrested Prostitutes And Others In Ikoyi" -- Lagos Committee Reveals. 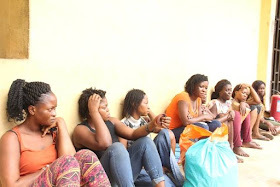 Photos; "Why We Arrested Prostitutes And Others In Ikoyi" -- Lagos Committee Reveals. 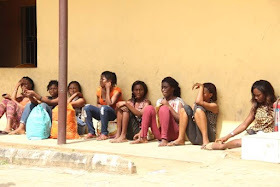 In line with its mandate to dislodge miscreants and squatters from abandoned buildings, the Lagos Special Committee on Clean up of Ikoyi, Lekki and Victoria Island has arrested 11 suspected miscreants and women of easy virtue (prostitutes) in Ikoyi. The suspects, made up of 8 women and 3 men were arrested in an abandoned building on Club Road, Ikoyi. The operation, involving policemen from the Ikoyi Police Station, was coordinated by the Chairman of the Task Force on Environmental and Special Offences, Superintendent Yinka Egbeyemi and carried out following series of complaints by residents of Club Road on the untoward activities going on in the building especially at dusk. 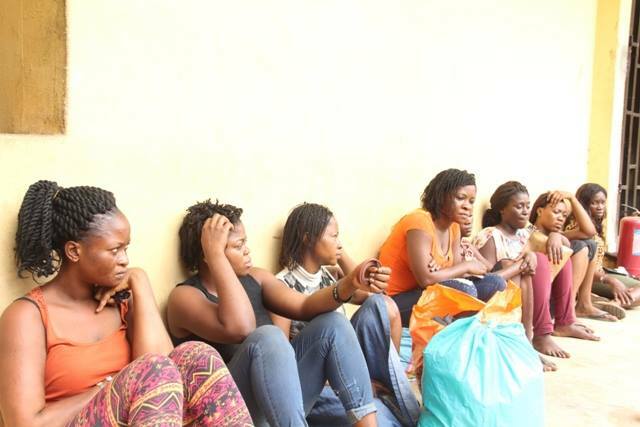 Speaking with newsman while parading the suspects at Alausa, Egbeyemi said when questioned, all the suspects could not offer explanations on their means of livelihood. He added that all the suspects would soon be charged to court based on circumstantial evidence, just as he warned that the committee is resolute about its determination to rid Ikoyi and Victoria Island of abandoned buildings and miscreants. He emphasised that the next stop of the Clean Up committee is Lekki where such infractions have already been identified and would be cleared to restore the original master plan of the area.